It’s always heartwarming to make a loved one smile, isn’t it? Especially when the gift is unique, personalised and something that speaks volumes about your relationship. Whether they are quirky tees or a table lamp, check out our guide to some of the quirkiest, trendiest, most unique and meaningful gift stores in Mumbai. 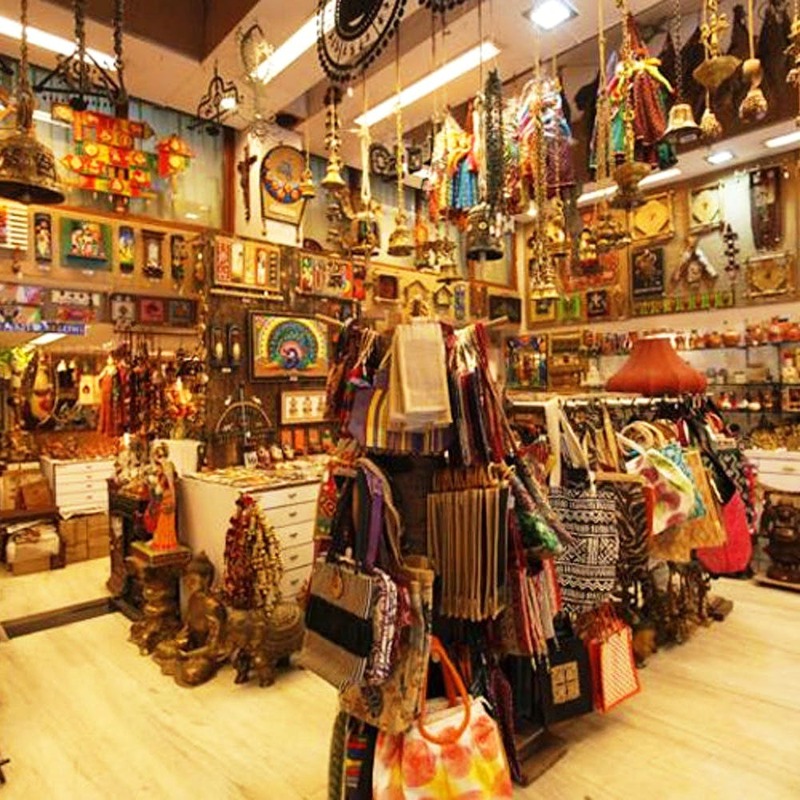 If you can think of someone who will appreciate Warli and Madhubani paintings, papier mache shikaaras, Kalamkari and other traditional art pieces from different parts of India, we recommend a visit to this gorgeous home décor and art store. #LBBTip – Since this is luxury home décor, it makes for a perfect wedding gift! A handcrafted journal, a leather wallet or a customised laptop case, Nappa Dori is where you need to be when looking for a gift for that professional go-getter who loves elegance, style and a good hustle the way a fat kid loves cake. This store is big on supporting independent and homegrown talent, and we love it! Artwork printed mugs, posters, t-shirts, notebooks, and a whole lot of other goodies will win the heart of any creative mind. Quirky earrings, pins, wall hangings, mugs, posters; you name it, they have it! We think it’s a brilliant find when you need to gift a bunch of fun, cute, eclectic things to a loved one. #LBBTip – The F.R.I.E.N.D.S wooden wall hanging makes for a great gift for fans of the classic sitcom. This dreamy store has everything that an old soul will love; from vintage postcards, storage boxes and photo frames to wallpapers and needlework boxes. We love the ambiance and the fact that this European styled store isn’t too heavy on the pocket! Mason jars, glasses, water bottles, wind chimes, trunks and all that you think your super functional friend needs, you’d find at this store. Wish to gift someone who’d go nuts over pretty wind chimes, holders, cups, stickers, jars, cushions, bags and every other little thing on Pinterest? It’s your chance to get them exactly these from this hidden gem in Versova, without breaking the bank! Fancy bookmarks, minimalist tees, art-inspired booklets and quirky stationery are quite a hit with those who love deadpan humour, pop culture, art, and just about anything quirky. #LBBTip – Since it is extremely affordable, you can make a thoughtful little gift hamper with a variety of items here. If you’re stuck thinking about gift ideas for someone who adores home décor, we assure you that The Bombay Store will leave you spoilt for choice with its wide range of candles, vases, wall hangings and other beautiful items.